I finally completed my setup which seems to be working quite well. my issue is power drop out. 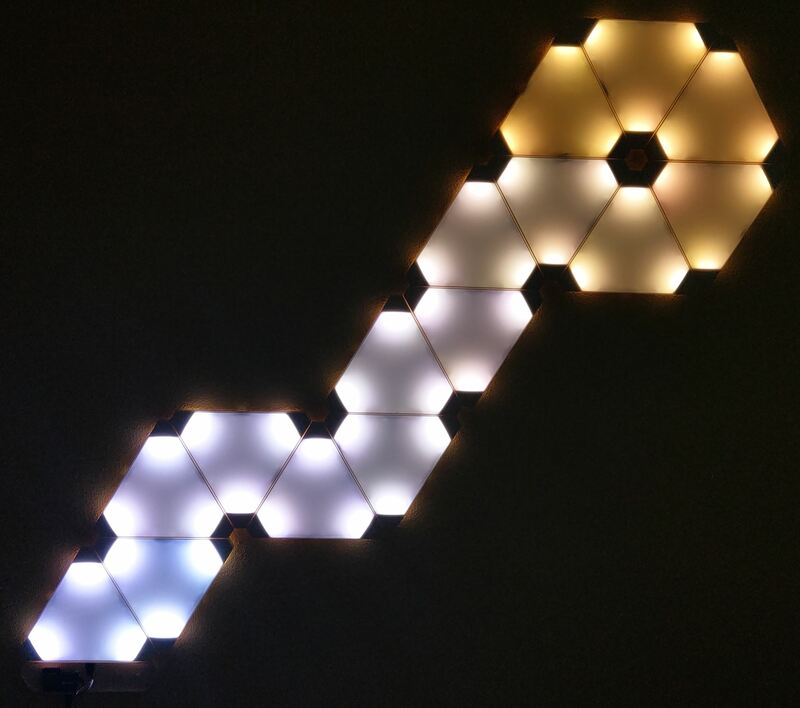 if i select full white, full brightness i get a power drop around panel 6 ( 3 leds per corner) so 59 leds onwards. if i add another 5v power source at panel 10 its not perfect, but 95% fixed. anyone else having this issue ?or could you try and see if you also get the problem. i am using a 4amp power supply, which i have used on many of my other projects without issue. and just to dis-prove a power supply issue i used an 8amp powersupply which powers a 64x64 led matrix and the issue is still apparent. Maybe adding level converter could help a little bit (It's worth a try). You can clearly see that it's a power source problem (in my case). If you have power source powerful enough I think it's problem of power distributing (as you stated). 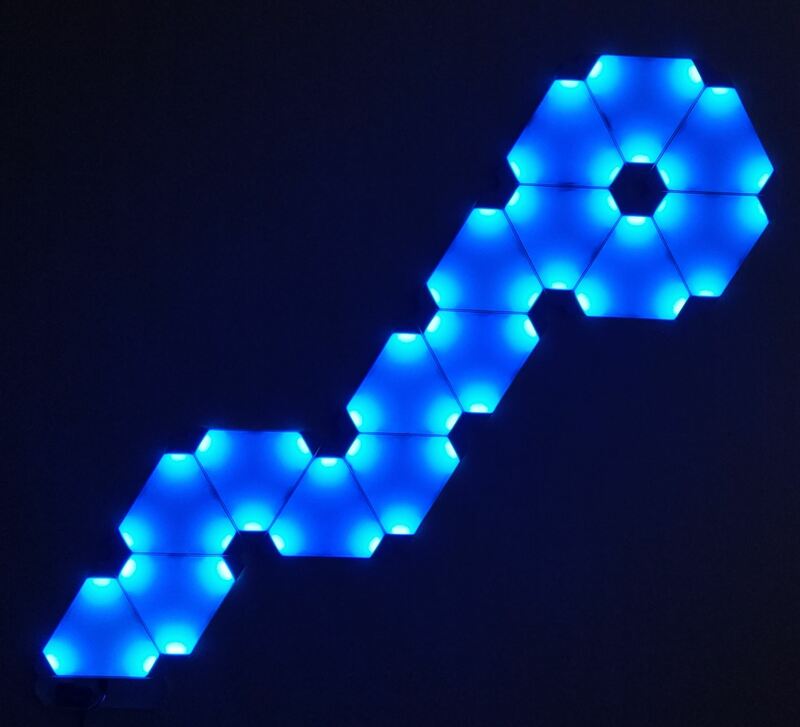 When you use white, all 3 LEDs (in one RGB LED) are turned on at maximum so it consumes a lot of energy. The longer a wire is, the more resistance it has. I personally don't use white (because of these problems), so I don't care that much. Adding the second 5v to this setup certainly helps, but doesnt fix the issue 100% thats why i leaning towards increasing the signal wire from 3.3v to 5v using a level shifter. 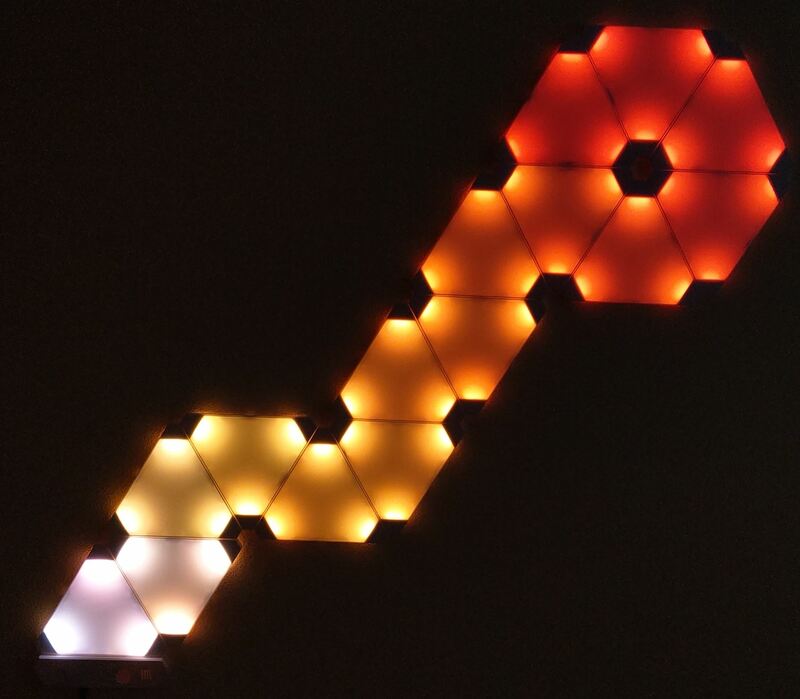 I dont think its just down to how many leds you are using, but the distance between each led is a factor to. i found one on ebay for quite cheap. this would also help with some of the issues people are having with flickering. As you have mentioned on normal rainbow effects its fine, but when using some of the faster patterns i seem to get a random flicker too.. The wiring length matters for sure. I'm going to order level converter too. And what about capacitor? Do you use one? It should help (For fast switching effects it's useful). I found out that I have a I2C level conversion mode. I'm going to try it this weekend. Hey spigot, i have never used a capacitor in any of my projects and never had a problem, but then it doesnt mean something can go wrong. amazon arriving sooner., but is the bare chip, which is pretty easy to connect up., my other option is.. as all the panels will be connected in a set position ( mine will be stuck to a panel ) i will run a second 5v feed to the end of the chain. but before i jump in, i will connect up an arduino and run a few tests to make sure it isnt any other issue. it will be using the same 5v supply etc, so the only difference will be the data feed. I removed the esp8266 and installed an arduino uno in its place and ran a few tests. 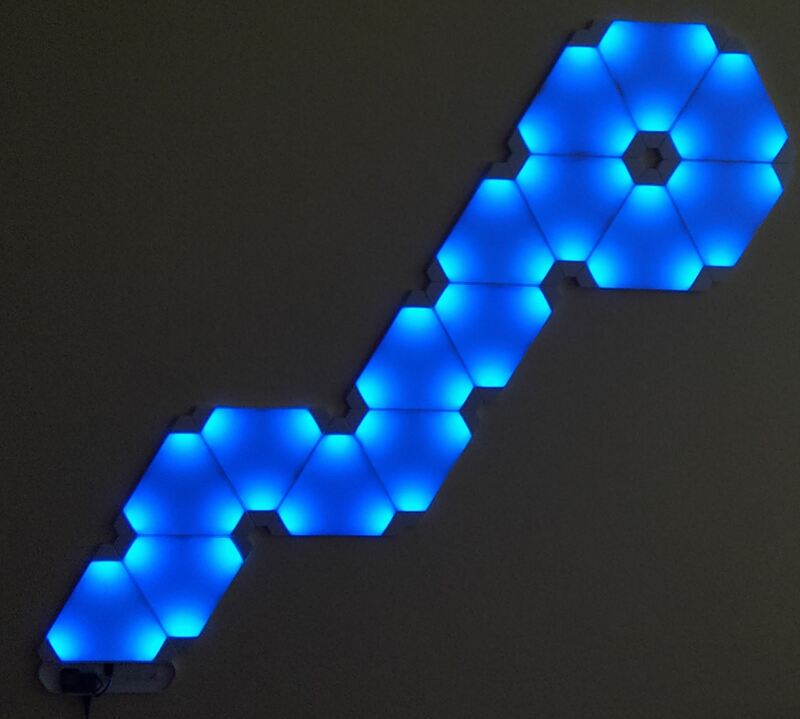 The power drop out is still apparent from 36 leds onwards. 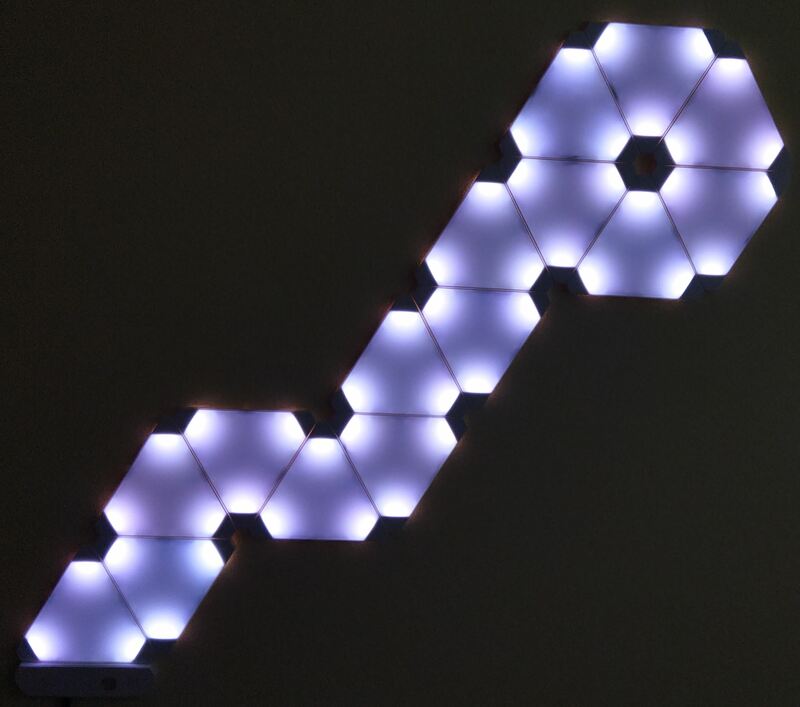 leds 36 to 45 drop by about 10% and each panel after drops about 5%. brightness on each panel after.. adding a second 5v on the last panel (81 -90) fixes most of the issue. but there is still a visable drop of about 5%.. reducing to white from full brightness (255) to 200 its even across each panel without any noticeable drop. running the fasted led examples, sinelone, juggle, bpm etc on full brightness (255), there zero problems, no glitching or flickering - runs very smooth. if like me you have made each panel the same, you should have a spare socket on your last panel. adding a second 5v wire from the power supply and plugging into the last socket works quite well. I have tried the Adafruit 74AHCT125 - Quad Level-Shifter (3V to 5V) [ADA1787] and this made no difference whats so ever with the glitching when running sinelon and some of the other animations. Im tempted as this time to lose the esp8266 and throw in an arduino nano with a few patterns i would use, and add bluetooth support.